Inky and dense in the glass, this big vibrant nose has delineated aromas of dusty earth, truffle, crushed rock and pepper ruling over the blueberry with great intensity and exuberance. A medium plus torso with smoke and black olive flavors up front and licorice on the back end, it flashes flesh on the intro but turns firm and sinewy, as the slightly angular tannins kick in. Roguish and a little fiery, this wine exudes a sort of wiry virility. The oak stays in the background. 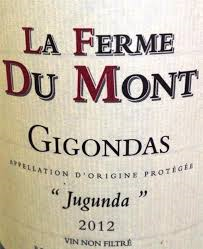 Grenache is dominant with Syrah added for structure, color and spice, this muscular wine is typical of Gigondas, great presence and attitude with no concession to “smooth”. It will age well for 10-15 years. This is a relatively new negociant located in Valreas near Avignon in operation since 2007. This wine is produced using biodynamic methods. As usual, Bonny Doon delivers flavor along with depth and a dash of irony. On the first approach I could swear someone put Capri Sun in my glass. But the more I sniff and sip the more hidden layers emerge. 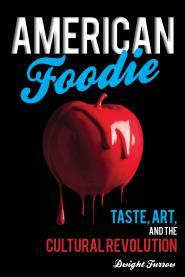 Yes, the overall impression is candied fruit but with complexity and energy. Aromas of freshly made strawberry jam are laced with clove, black pepper, earth and floral notes. On the palate, juicy red plum is prominent but with subtle wood notes providing a foundation, which is odd because there is no mention of oak in the production notes. Plush and weightless up front, it becomes taut and expressive as it evolves in the mouth with soft tannins providing a short but punchy finish. Good, integrated acidity. Jaunty and spirited, as with all Randall Grahm wines, it has character and tastes like nothing else. 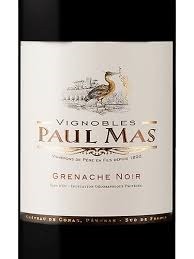 A blend of 75% Grenache, 17% Syrah, 8% Mourvedre, this is cool climate Grenache at its best. Highly recommended for warm summer evenings. 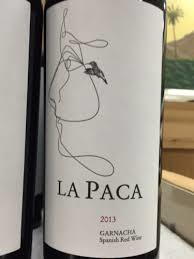 Continuing my exploration of bargain imported wines from Trader Joe’s, here is a very approachable Garnacha (Grenache if you’re French) for $7. Ripe strawberry and dark fruit aromas are complemented with modest vanilla and earth undertones and a pleasing black pepper note that is characteristic of this hot inland region in Northeastern Spain. Medium intensity on nose and palate, and a medium body, it has a soft fruity opening, then a mid-palate mineral lift as the fruit drops off, and becomes slightly woody on the finish with some bitter herbal notes. The finish is refreshing but short and lacks tannin but the fruit/acid balance is good. A new world preface with an old world conclusion, the transitions in this wine are interesting, and it takes your head in a variety of directions. A great price for an interesting wine. Paso Robles’ Rhone Rangers are known for their big, jammy, high toast blockbusters. 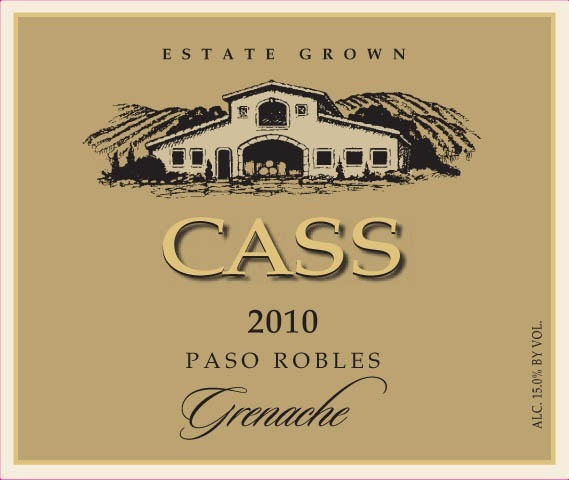 Cass vineyards takes the opposite approach with this delicate grenache. Unsullied by grand aspirations and stripped of its usual blending partners, syrah and mourvedre, this is grenache in its purest state. Fresh strawberry, bing cherries, and kirsch are clearly expressed; clove, vanilla, and a slight herbaceous quality lend an exotic air; the tender mouthfeel is charming. Alcoholic bitterness typical of unblended grenache reinforces the sincerity of this lovely yet utterly unpretentious wine. Solid acidity from a cool growing season makes up for the lack of tannic structure.